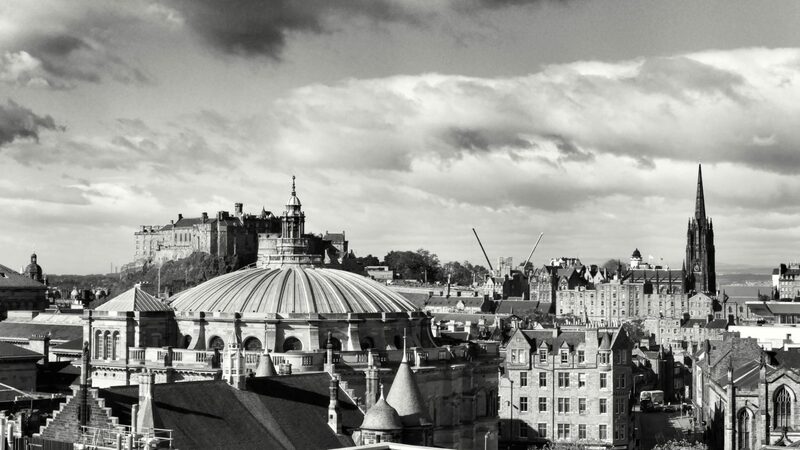 After the Scottish Government announced plans for legislation allowing councils to introduce a transient visitor levy – also known as a tourist tax – Edinburgh council has pledged to introduce one. Draft proposals for the city would see visitors staying in short-term lets, hotels and bed and breakfast accommodation charged £2 per night for the first seven nights of their stay. Officials estimate that this could raise £14.6 million per year for the city. Airbnb is one of the largest short-term lets platforms operating in the city. It has seen rapid growth in the capital, sparking calls from locals for tighter regulation of the sector. According to the latest data from Inside Airbnb, an independent site that ‘scrapes’ data from the Airbnb website, there were 8,937 active hosts in the capital who received a review on the short-term lets platform in the last 12 months. Using conservative estimates based on Inside Airbnb data, an analysis by The Ferret has found that Airbnb alone could generate nearly £1m a year for city coffers, should the £2 tourist tax be introduced. Airbnb declined to confirm or deny whether this figure was accurate. Additionally, the council proposes that accommodation providers will be able to keep 1.5 per cent of the tax to cover administration costs for the first two years. This means Airbnb could be eligible to keep more than £30,000 earned through tourist tax administration fees over that period. But local housing campaigners expressed concern that this new source of income could act as an incentive for the council to “turn a blind eye” to unlawful lets advertised on the platform, as officials battle to balance its budget. Gordon Maloney of Living Rent, a group that campaigns on behalf of people who rent homes, called on the council to ensure that the tax would not be “handed back in gifts” to Airbnb. A City of Edinburgh Council report previously estimated that a shift toward short-term lettings of whole dwellings had cut the number of homes available for longer-term private rent in the city by 10 per cent. “This tax must not be used an excuse to further touristify the city, or turn a blind-eye to bad practice. Tourism can clearly bring benefits, but it also places enormous strain on the lives of the people who live here, most obviously in the form of housing,” Malone said. The Ferret previously revealed details of Airbnb backing for an extensive lobbying effort in Scotland to try to minimise and delay tighter regulation of landlords who aim to rent whole properties, as opposed to individual rooms, in the short-term lets sector. Airbnb insisted it was too early to make predictions about how much cash a tourist tax for the capital would raise. But it said it would be able to help collect tax on behalf of hosts and the council. “If Scotland wishes to introduce a tourist tax, we will help our hosts and guests with it,” said a company spokesperson. 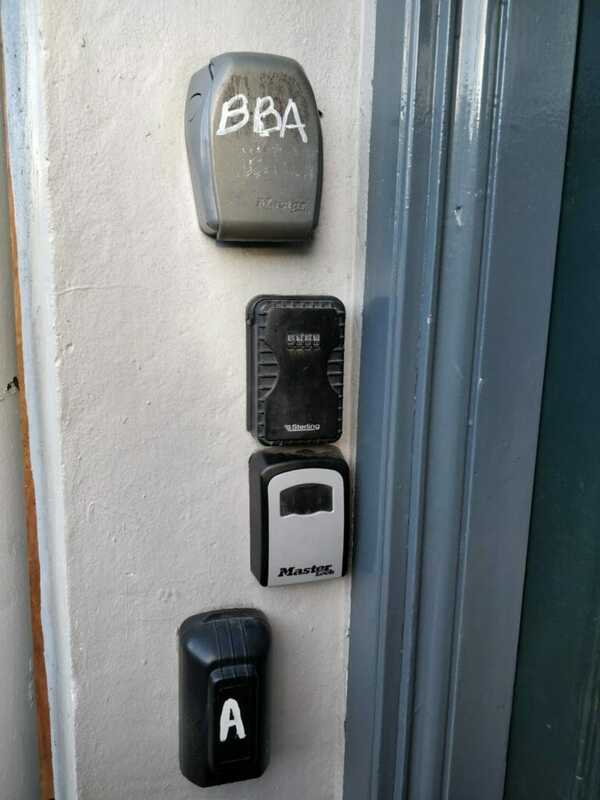 Key safes outside a central Edinburgh tenement doorway. The City of Edinburgh Council also declined to provide an estimate of how much it expected to receive from online platforms such as Airbnb. It has conducted a public consultation on what money raised from the new tax should be spent on, and announced plans for a panel to review priorities. More than three quarters of respondents to the council survey cited street cleaning as their priority for spending, followed by transport in second place. Edinburgh council leader, Adam McVey, argued that poorly managed short-term lets hurt communities and resulted in a negative visitor experience. “The council has a dedicated team of experts who are trying to resolve issues relating to short-term lets in Edinburgh, but to really make positive change we need to see updates made to licensing laws,” he said. The council was working with the Scottish Government and making positive progress on this, he added. “Of course, short term lets also form part of our council’s plan to introduce a transient visitor levy. Visitors will be charged the same £2 a night fee whether they stay in an Airbnb or a hotel. This is estimated to raise over £14.6m a year to be reinvested towards developing and managing tourist impacts on the city,” he said. This post was updated on the day of publication. An earlier version suggested that Airbnb could be eligible to retain £300,000 of the proposed tourist tax. This should have been £30,000.